Computer and video game, Minecraft, has swept the nation with its easy to have fun mentality. Players are encouraged to create, imagine, explore, and now even learn. Minecraft: Education Edition is a new take on this immensely popular original version of the open world game, which has been currently renovated to be more accessible and effective in the classroom. How is this new Education Edition different? Targeted at students, teachers, this new Education Edition is focused on teaching tools for communication, progression, and innovative thought. With those purposes in mind, Minecraft has successfully expanded into the world of education. With a Student Portfolio feature that allows scholars to take photos of their work, along with personalized logins, tracking individual progress becomes that much easier for teachers and parents alike. Not to mention the enhanced multiplayer options and the new coordinated maps, which enables educators and 40 of their students to explore together, learn, and work side by side. Subtle changes still embrace the joy of the game, while the new features mold it to teach within a stimulating framework. What can be taught with this program? The creators of Minecraft tell us that, much like the original, Minecraft: Education Edition is designed to be a versatile and open platform that can be used to teach all types of subjects ranging from math and physics to history and language arts. The founders stress that there is not an end to what students will be able to absorb in the game, what teachers will be able to create, and how the game can extend skills of classroom learning, cooperation, communication, and problem solving. It already has! MinecraftEDU, a separate educational version of the game, has already been in use in many schools all around the world, and Minecraft: Education Edition is simply the next step forward. An article from The Verge suggests that the success of it lies in its simplicity. Microsoft is keeping the changes of the game minor to avoid making Minecraft into strictly an educational product. By making sure that it is, first and foremost, a game, it becomes something kids still want to use and enjoy while in the classroom. What can we expect from the Education Edition? It’s online and in the classroom, it’s individual but also dependent, and it’s schoolwork disguised as a game. 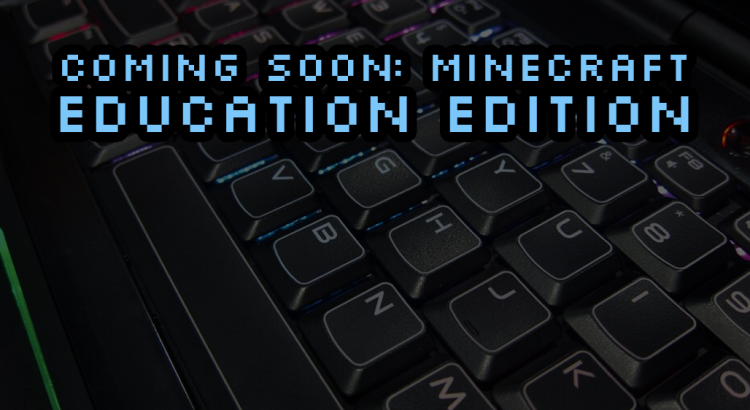 Ultimately, even though the changes may be subtle, the overall product and purpose of Minecraft: Education Edition is to promote community, learning, and fun is thoroughly thought-out and highly recommended. What Happens When You Play Minecraft for 35 Hours Nonstop?